This frame wallet will definitely turn some heads! It’s the perfect accessory and so simple that even a beginner can do it. Pop it into your bag or use it as a clutch. 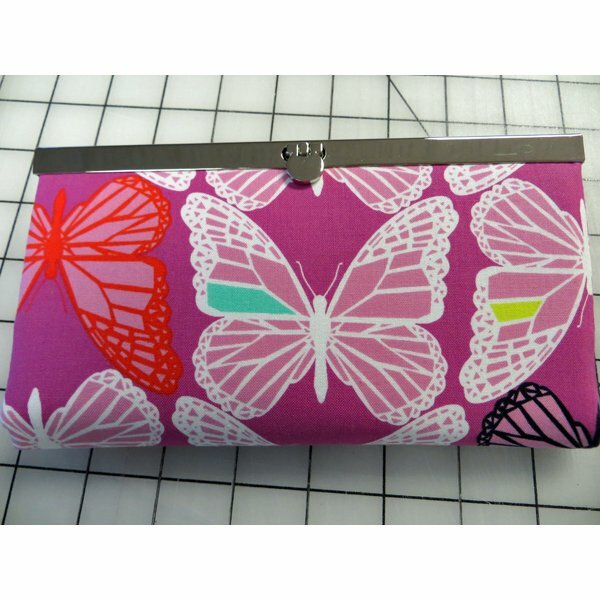 Has credit card slots and a zipper pocket for cash. Great in fabric, cork or a combination. Make it with 2 fabrics or make it scrappy.